Point2 Homes gives you far more than a simple list of houses for sale. Get instant access to a lot of relevant information about Tyndall Park, Winnipeg, MB real estate, including property descriptions, virtual tours, maps and photos. The search results pages also have a wealth of information on Tyndall Park, Winnipeg, MB, if you scroll all the way down. 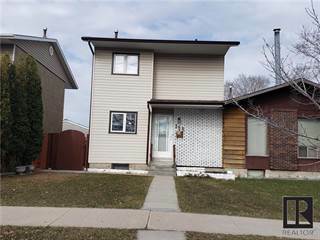 There are 14 houses for sale in Tyndall Park, Winnipeg, MB. 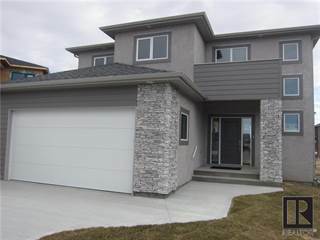 Searching homes for sale in Tyndall Park, Winnipeg, MB has never been more convenient. 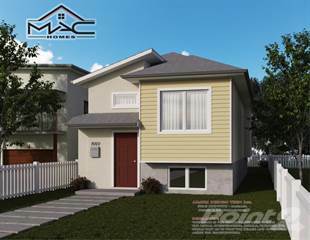 With Point2 Homes, you can easily browse through Tyndall Park, Winnipeg, MB single family homes for sale, townhomes, condos and commercial properties, and quickly get a general perspective of the real estate prices. Also, you’ll never miss a bargain if you filter listings based on house price drops in the past six months. 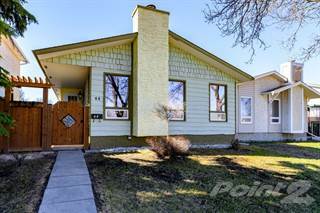 Use the map view to find Tyndall Park, Winnipeg, MB homes and apartments for sale, based on amenities or city features that you may want close by. You can close in on a specific neighbourhood or area by simply drawing around them with the polygon or radius tools. Stay informed about the latest entries on the real estate market by saving your searches. This way, you get new listings in your inbox, daily or every week, based on your preferences. If you’d like to get in touch with a professional, agents are displayed next to their listings, and they’re easy to contact through the online forms. 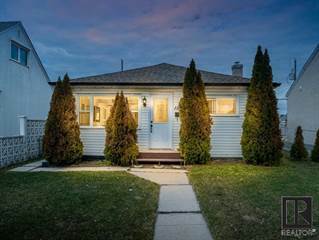 If you want more options, you can click the Tools tab and Find an Agent, and you’ll get a list of helpful and knowledgeable real estate agents in Tyndall Park, Winnipeg, MB. Visit the Point2 Homes blog and you can find up to date expert advice on many markets throughout Canada, regular market reports, neighbourhood scoops in cities throughout the provinces, real estate deals and useful recommendations. Tucked into a corner of Winnipeg, Manitoba, Tyndall Park offers large homes and some townhome options in an area whose population has remained at a steady level over the past couple of decades. Community centres, parks, and small lakes provide plenty of opportunity for residents to get out and meet their neighbours while enjoying recreational activities. The area is bordered by major roadways and industrial parks, and provides some amenities such as schools, grocery stores, restaurants, and gas stations. 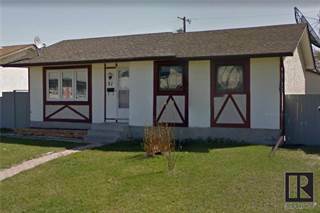 Tyndall Park is located in northwest Winnipeg, and spans from Oak Point Highway in the west to Keewatin Street in the east, and from Inkster Boulevard in the north to Selkirk Avenue in the south. The area is well established, and offers many opportunities for families to enjoy recreational pursuits. Tyndall Park features a diverse mix of people with various backgrounds, including Filipino, South Asian, Portuguese, and First Nations. This neighbourhood started off as a suburban area several decades ago, and maintains a similar feel today, as it is located on the city’s outskirts and residents must travel a bit to reach larger shopping centres and the downtown area. Vertical Adventures, located northeast of Tyndall Park, is Winnipeg’s largest indoor rock climbing facility and offers courses for youth, adults, and school groups. It also offers services for birthday parties, team building, and other group sessions. Southeast of the neighbourhood is Wheelies Family Roller Skating Centre, a venue that offers public and private roller skating, including for birthday parties and school groups, as well as roller skate rentals. Speedworld, located south of Tyndall Park, is an indoor go-kart racing track that is open to the public and available to book for private parties and events. South of the neighbourhood is CF Polo Park Shopping Centre, which features clothing, accessory, home, gift, and beauty retailers, as well as a large food court with many dining options to choose from. There are a number of retailers and strip malls located around the mall, as well as many restaurants. The mall is also located next to Scotiabank Theatre, which boasts 1 IMAX screen, 1 DBOX screen, 8 3D screens, and 14 regular screens, as well as a gaming centre and 2 party rooms. There are several locally owned restaurants in the Tyndall Park area. Alfie’s Restaurant and Billiards on Keewatin Street is a popular dining and billiards spot, and offers comfort food like soups and sandwiches served in an equally comfortable environment. Samosa Crown Sweets and Restaurant on Keewatin Street provides a variety of Indian options with their buffet, within a simply decorated space. Diners can find modern French cuisine at Creme DeL’Essence on Inkster Boulevard, with complex flavours offered in a relaxed venue. Tandoor House on Keewatin Street features brightly flavoured Indian dishes in a sleek atmosphere. A brightly lit space in the Philippine Canadian Centre of Manitoba is home to Salakot Restaurant, which serves up a variety of Filipino dishes. Tyndall Park offers a mix of single-family homes, semi-detached homes, row houses, and smaller apartment buildings (fewer than five storeys). According to City of Winnipeg census information, the average price for single-detached homes in the area is slightly lower than the average price for single-detached homes in Winnipeg. The population of Tyndall Park is 13,095 (as of the 2011 census), and this has remained steady for the past 20 years or so. Families make up 26% of the population here, 40% are couples, and 34% are single. The majority of housing is single-detached homes, most of which were built before 1990. The average annual income is $81,683, which is slightly above the average annual income in the city as a whole, and 46.4% of residents are university or college educated. There are no pollution problems in Tyndall Park, but homes closer to the major roadways surrounding the neighbourhood (Inkster Boulevard, Keewatin Street, and Oak Point Highway) have traffic noise, including semi-truck traffic on Oak Point Highway, throughout most of the day. Side streets farther away from these major roadways tend to be quieter. There are three primary schools in Tyndall Park: Stanley Knowles School, Garden Grove School, and Tyndall Park School. Older students from the area typically attend Sisler High School, located east of the neighbourhood. Red River College’s Notre Dame Campus is the closest post-secondary option for residents of the neighbourhood, and is located south of the community. The University of Winnipeg is another option for those who choose to travel to the downtown area. Bus service in Tyndall Park includes Route 16 – Osborne-Selkirk, Route 28 – Brookside Express, Route 31 – Keewatin Express, and Route 77 – Crosstown North. Some of these routes provide access to Downtown, where routes to other areas of the city are available. There are a number of parks in Tyndall Park, including Fairgrove Park, with a basketball court, soccer nets, and a baseball diamond; Kinver Park, with soccer fields and playground equipment; Tyndall Park, with baseball diamonds, soccer fields, basketball courts, playground equipment, and a wading pool; Haddon Park, with a baseball diamond, soccer nets, playground equipment, and ice rinks in winter; and Egesz Park, with soccer fields. The Tyndall Park Community Centre holds events throughout the year, including fireworks for Canada Day and New Year’s, an annual fair with rides and games, a Breakfast with Santa event, and numerous dances for pre-teens and teens. The centre also offers dance and fitness classes, as well as programs in baseball, basketball, hockey, and soccer. Ice rinks in the winter provide space for hockey games and ice skating for the public. Northwest of the neighbourhood is Little Mountain Park, which provides 160 acres of woodland and open greenspace for hiking, sports, and picnicking. The site was one of the earliest limestone quarries in the area, and one of the old quarries is now a pond. The park is home to a number of animals and birds, as well as many species of wildflowers and grasses. Next to the park is Little Mountain Sportsplex, which offers 28 softball diamonds, 6 soccer fields, 3 hockey rinks, and a rugby field. There is also a clubhouse with an onsite bar and grill.